We have several toys that are designed to help teach youngsters about safety through independent play, and also can be used as a tool by parents to kick-start an important ongoing discussion about personal security and home safety. 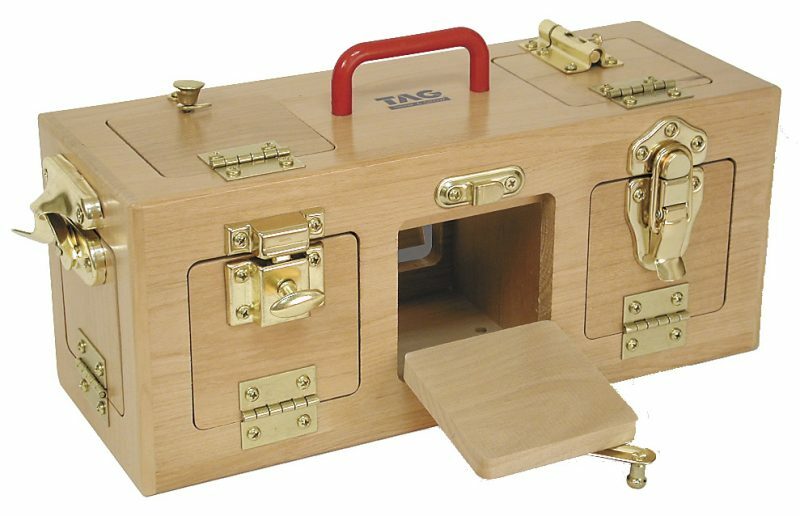 TAG Toys Lock Box Memory Game: This high-quality hand-crafted solid hardwood lock box has three separate compartments, and ten doors and latches. Kids can put trinkets into each of the separate compartments and look for the items through the different doors. 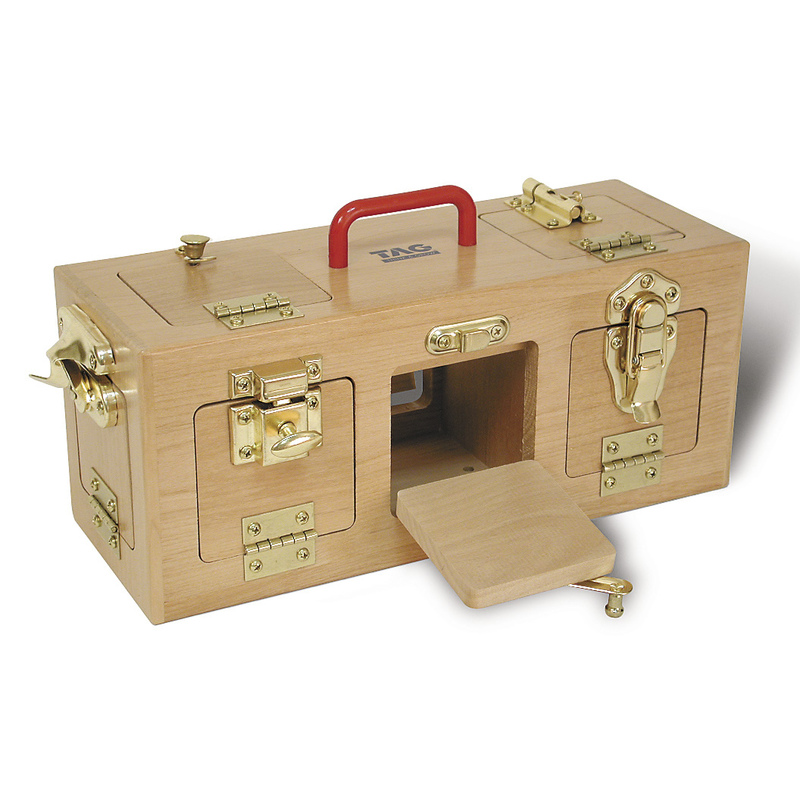 The lock box has a sturdy handle and entertains children for long periods of time. TAG Toys Lock and Latch Activity Board: This free standing, lock and latch variety board has many common everyday types of latches, locks and switches, and is used to help fine-tune children’s motor skills and develop hand-eye coordination. The activity board helps kids develop muscle strength and finger dexterity, and parents can use it for discussions about everything from turning off lights, to locking and unlocking doors. Get involved today and ask us a question on Facebook. This entry was posted in Childhood, Childhood Development, Children, Education, Kids, Pre School Kids, Toddlers, Toys, Uncategorized and tagged child, home safety, home security, latches, locks, personal safety, teach.